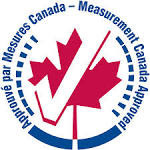 NTEP and Measurement Canada approved models meet or exceed Class II or III accuracy requirements, making the Scout ideal for commercial applications where reliability and precision are essential. 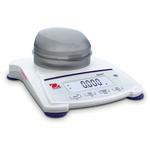 The large backlit LCD provides operators a clear view of their weighing results. An optional auxiliary display can also be installed easily to provide additional weight notifications to customers in retail environments. 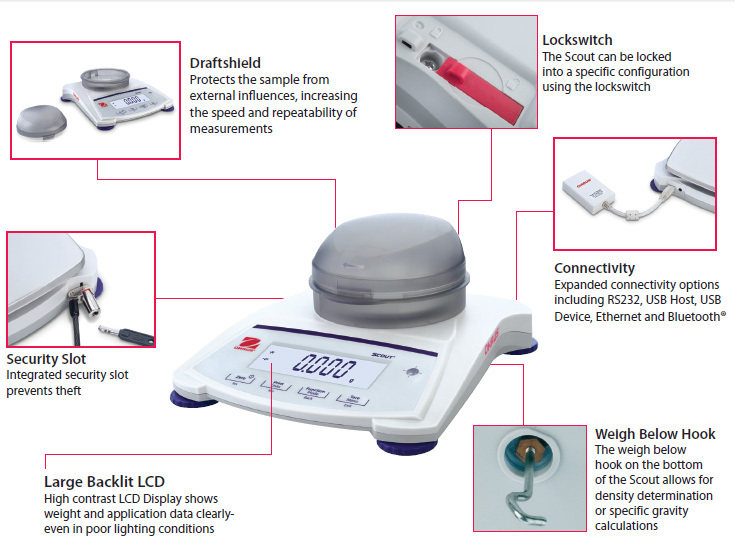 Stabilization time as fast as 1 second and high resolution load cell with up to 150,000d resolution and readability to 0.001g, deliver extremely quick, precise and repeatable weighing results. Scout has multiple connectivity options for convenient data logging and communication, as well as connecting to an auxiliary display. Options include - RS232, USB Host, USB Device, Ethernet and Bluetooth®. With the USB Host option, you can simply save and transfer data from the balance to a USB drive. 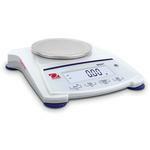 The Bluetooth option allows you to wirelessly operate the balance via a mobile device or tablet for Android™. Scout’s ingenious draftshield (1mg model only) was designed with an easy to remove top cover piece. This serves as a wind protection ring which keeps the weighing surface stable in drafty environments, while maintaining weighing speed. 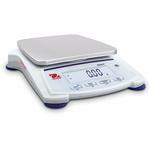 Weighing—Determines the weight of items on the pan in the selected unit of measure. Totalization—Measures cumulative weight of multiple items. Cumulative total may exceed balance capacity. Density Determination—Determines density of solids or liquid. 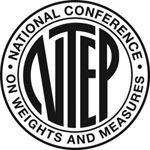 With the integrated weigh below hook, it is possible to perform specific gravity tests for objects that cannot be easily placed on the weighing pan. 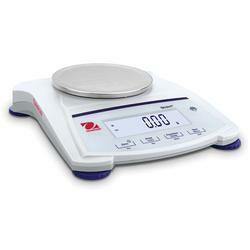 ** Available Weighing Units and Application Modes vary by local regulations.